Fly Larvae Are Good for Chickens, but How Do They Affect Your Organic Eggs? Volunteers must be 20 to 35 years old, because, according to the researchers, that’s when people’s papillae (think taste buds!) are really sharp. The researchers have already held two taste-testings, and two more are scheduled: Thursdays, Nov. 9 and 30. Each session is from 11 a.m. to 2 p.m. at Scrubs Café in the Health Sciences District. If you’ve ever raised chickens, you know they like to eat bugs. But does the amount of insects included in their diet have an effect on the eggs they produce? That’s the question University of California, Davis, researchers have set out to answer with a project to determine if feeding hens a diet supplemented with black soldier fly larvae will cause their eggs to taste or look different. Currently, farmers are allowed to add synthetic methionine, a synthetic amino acid, to organic poultry feed to improve the birds’ health and egg production. But the National Organic Standards Board (a federal advisory board) has expressed their desire to phase out synthetic methionine from organic poultry feed. The fly larvae are a natural source of methionine — an important nutrient for chickens. But other natural replacements haven’t worked out so well. Adding fishmeal to feed has been widely studied, but in North America, when used at the levels needed to balance the dietary amino acids, fishmeal is cost-prohibitive and imparts a fishy taste to the meat and eggs. 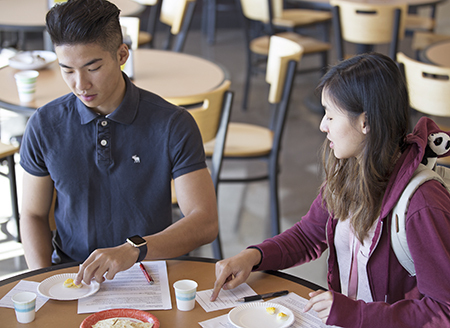 Researchers will have consumers taste test eggs from chickens that have received feed containing 20 percent, 15 percent, 10 percent and 5 percent black soldier fly larvae to see if it affects the eating experience. The larvae are produced in Professor Jean VanderGheynst’s lab on campus and also purchased from commercial sources. The larvae are processed, dried and ground into the chicken feed. The project may lead to improved poultry health while reducing the amount of corn and soy used in chicken feed. The corn and soy saved could be diverted for other uses, including biofuels and additional calories for humans. The collaborative project is led by Maurice Pitesky, UC Cooperative Extension poultry specialist with UC Davis School of Veterinary Medicine and UC Agriculture and Natural Resources; Deb Niemeier, professor from the Department of Civil and Environmental Engineering; and Jean VanderGheynst, professor in the Department of Biological Agricultural Engineering. 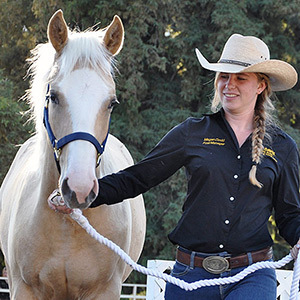 It also involves UC Davis Dining Services, Animal Science, School of Veterinary Medicine, Bio-Ag Engineering, Civil Engineering, graduate student Lydia Palma and approximately 10 animal science and engineering undergraduate students.